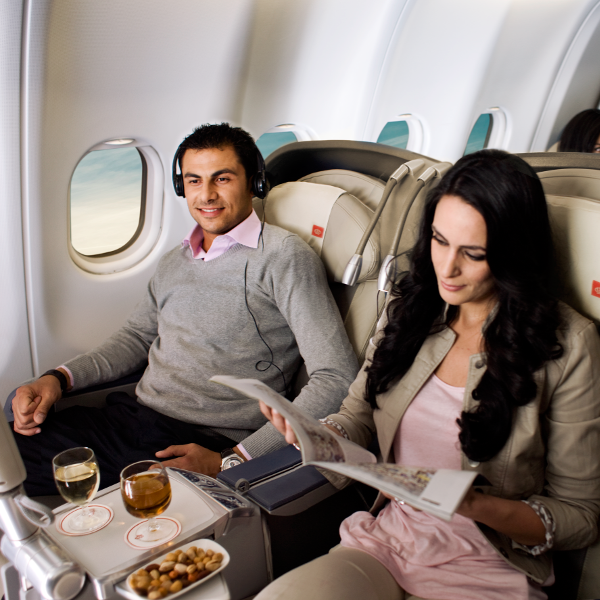 Fly in style as you sit back and relax into your flight, with all amenities at your fingertips. From the spacious seating, to an incredible dining experience, you’ll soon feel at home in the sky. Crown and Economy passengers can access this world-class lounge at Queen Alia International Airport, where you can unwind and enjoy true Jordanian hospitality. 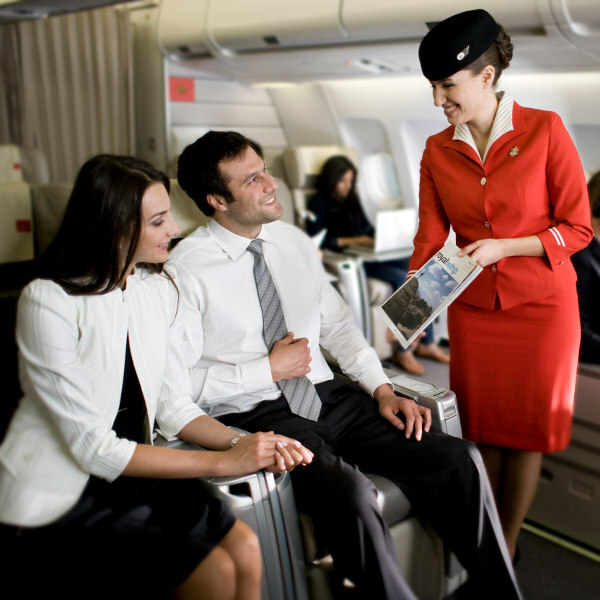 Royal Jordanian prides itself on outstanding service delivery, adhering to the needs of its customers. Their convenient services and attention to detail ensure the happiness of all who fly with them. Headquartered in the heart of Amman, Royal Jordanian was established in 1963 by His Majesty King Hussein as the national carrier of the Kingdom of Jordan. Since then, the airline has modernised its fleet, expanded its route network, stayed up-to-date with its IT services, and is a world leader in customer service. RJ is distinguished through its young fleet of 27 aircraft, spanning 56 direct destinations over four continents. Royal Jordanian’s subsidiary company, Royal Wings, provides chartered services to the Middle East, Europe and Africa. As part of the Oneworld alliance, RJ has upheld its reputation and competitiveness, offering passengers the possibility of flying to over 1000 cities in 150 countries to and from Amman. Book Royal Jordanian Airlines flights to Abu Dhabi, Kuala Lumpur, Amsterdam and other exciting places! RJs luggage policy is based on the piece concept for all destinations. Two pieces, each weighing up to 32kg. The sum of the 3 dimensions of one piece must not exceed 158 cm. Two pieces, each weighing up to 23kg. The sum of the 3 dimensions of one piece must not exceed 158 cm. Two pieces, the weight of the first is up to 30kg and the weight of the second is up to 23kg.The sum of the three dimensions of one piece must not exceed 158cm. One piece, with a weight up to 30kg. The sum of the three dimensions of one piece must not exceed 158cm. One piece with a maximum weight of 10 kg. The sum of the 3 dimensions must not exceed 115cm. A carry-on fully-collapsible child stroller/push-chair, or infant carrying basket/ car seat, which may be carried in the passenger cabin, are subject to the availability of space. Two pieces, with each piece weighing a maximum of 32kg. Two pieces, with each piece weighing a maximum of 23kg. One piece of checked luggage, the sum of the 3 dimensions must not exceed 115 cm at 23 kg. Crown Class passengers are allowed 2 pieces of luggage, each weighing not more than 7kg. Economy Class passengers are allowed 1 piece of luggage, not weighing more than 7kg. Additionally, laptops, walking sticks, umbrellas, cameras and crutches are permitted in the cabin. Passengers travelling with babies are allowed an additional 7kg for baby food and other necessities. Pets are allowed onboard. Please consult the Royal Jordanian website for further details. Royal Jordanian has multiple check-in options to suit each traveller. Web check-in is available from 4 to 24 hours prior to scheduled departure time. You can choose to print your boarding pass directly or send your itinerary via email to be printed at the airport. Passengers with home-printed boarding passes with no baggage to check in can head straight to the boarding gate. Available throughout the airport, this is a quick, easy way to skip the queues and head straight to your boarding gate. If you have baggage to drop off, we suggest letting the check-in agent double check your information before proceeding. Royal Jordanian passengers must check in no later than 3 hours before departure time. Please be at your boarding gate 1 hour before departure. • 60 minutes before departure to and from the USA, Canada and London. • 45 minutes before departure for all flights except USA, Canada and London. • 30 minutes prior to departure to and from Aqaba. Boarding gates close 15 minutes before departure. Royal Jordanian has 2 cabin classes. From priority boarding, to luxurious flat-bed seating, to 4-course dining and the best of inflight entertainment, Crown passengers can relax in a world of comfort and luxury en route to their destination. With spacious seating and legroom, a flavoursome range of international and local cuisine, various inflight entertainment options at your fingertips, you can be rest assured a pleasant flying experience onboard Royal Jordanian. Kids meals are available on medium and long-haul flights and must be pre-ordered at least 24 hours before departure time. RJ operates flights between the Middle East, Africa, Asia, Europe and North America.